It has been one year since the Calais ‘Jungle’ was demolished and thousands of refugees were displaced. At that time, thanks to pressure from people like you, the Government successfully transferred 750 child refugees from France to Britain. 200 of those children were resettled under the Dubs Amendment. One year on, close to 200 unaccompanied children are back there in worse conditions with little access to safe and legal routes. There will be a debate on child refugees on Thursday 2nd November, and we need to keep the pressure up to ensure that more unaccompanied minors are brought to safety in the UK. We have written a template letter with our partners Safe Passage below to contact local MPs and councillors, which you can edit and adapt as you see fit. Find your MP and how to contact them here. I am writing to ask you to attend the Backbench debate on November 2nd on whether we should do more for child refugees. As leader of [council name] I am asking you to continue Britain’s proud tradition of welcoming child refugees and ensure all the ‘Dubs’ places are now filled and children are transferred as quickly as possible. You will be aware that the Dubs Amendment was passed in May 2016 as S67 Immigration Act 2016 in order to bring to safety unaccompanied child refugees from France, Italy and Greece. Parliament called for the Government to consult with Local Authorities when determining how many children would be granted protection in the UK under the scheme. During the demolition of the so called Calais “Jungle” in October 2016 the UK gave sanctuary to 200 children under this provision. However since then, no children have been transferred under the legislation, despite the Government admitting in February that 480 placements had been identified in total. These 200 children prove that our Home Office and our Government are able and willing to follow a proud tradition of being a safe haven for child refugees since the Kindertransport in the Second World War, allowing them to find safety in the UK without risking their lives. Charities such as Help Refugees and Safe Passage who work with the children left behind say many have family in the UK they should be reunited with, or could be eligible for protection under the Dubs amendment. Knowing that at least four children have lost their lives last year at our border in Calais before the Amendment was implemented, some waiting to be with their families in the UK, is heartbreaking and we cannot let this happen again. 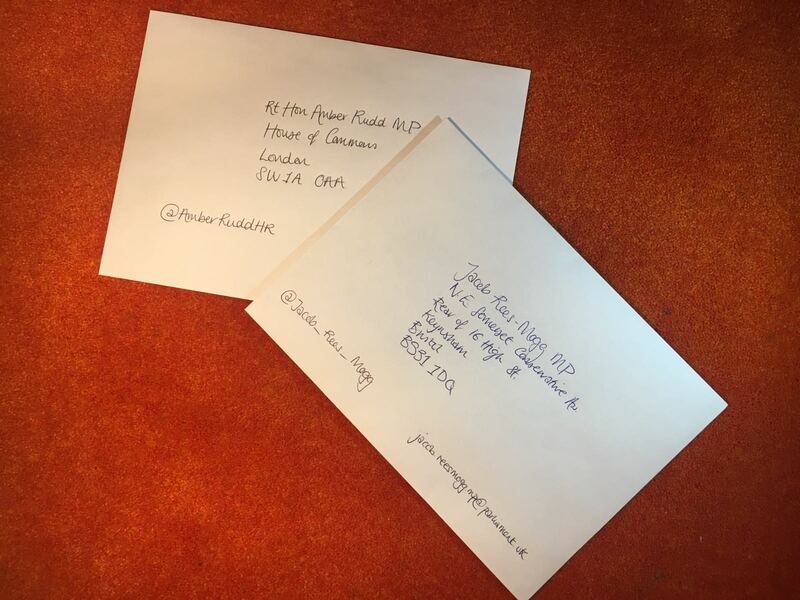 I am writing to ask that you ensure the further 280 children are transferred safely to the UK now as swiftly as possible and to urge the Government to provide swift access to family reunion so that children do not have to risk their lives to reach protection and family. I ask that you write to the Home Secretary Amber Rudd reminding her the Home Office must act on their existing legal obligation and promises made to children under the Dubs Amendment (S67 Immigration Act 2016). Speed up family reunion for unaccompanied children in Europe with family in Britain (the ‘Dublin III’ regulation) – children are currently waiting many months to access this safe and legal route, leaving many to risk their lives in the hands of smugglers simply to reach family. I recognise the leadership role Britain has played in coordinating aid to countries with large refugee populations and in resettling refugees directly from the region, however I strongly believe we should also do our bit to support some of the most vulnerable child refugees who have already arrived in Europe. On the eve of WWII, Britain gave sanctuary to some 10,000 unaccompanied child refugees in Europe fleeing Nazi persecution through the Kindertransport. One of these children was Lord Alf Dubs; his amendment – Section 67 – continues this proud tradition of offering protection to some of the most vulnerable child refugees in Europe. I ask you to stand up now for that tradition.